Successfully Added HK Warehouse UMIDIGI G Smartphone - Android 7.0, Quad Core CPU, Fingerprint Scanner, 4G, Dual SIM, 5 Inch (Gold) to your Shopping Cart. 4G Connectivity brings you lightning fast downloads. Android 7.0 brings the latest offerings from Google. The UMIDIGI G offers an inspired design with metallic and polycarbonate spray that leaves a smooth and comfortable outer that minimize dirt and fingerprints. This results in an excellent seamless finish that is strikingly similar to that of the iPhone 7. Equipped with an MTK quad-core CPU and 2GB RAM the UMIDIGI G brings a high performance while reducing battery consumption so you get an ideal balance between efficiency and performance. Lightening quick 4G network connectivity lets you send and receive files faster than ever. Now you can enjoy a stable streaming experience and enjoy HD video on the go. Running on the Android 7.0 Nougat OS you'll have an intuitive and fluid user interface that can be tailored to your every need. A 5 inch HD Sharp screen is protected behind Corning Gorilla Glass 4. This brings natural colors and a smooth picture that is viewable from with wide angles. With the 2.5D curved glass, it is well presented the tough protection keeps it safe from knocks and scratches. The home button at the base of the screen has an accurate and swift fingerprint scanner incorporated. So a gentle touch is all you need to activate his phone. A built in high capacity battery and Android 7.0 power optimization with Doze function brings sufficient charge for all you daily work, call and gaming needs. 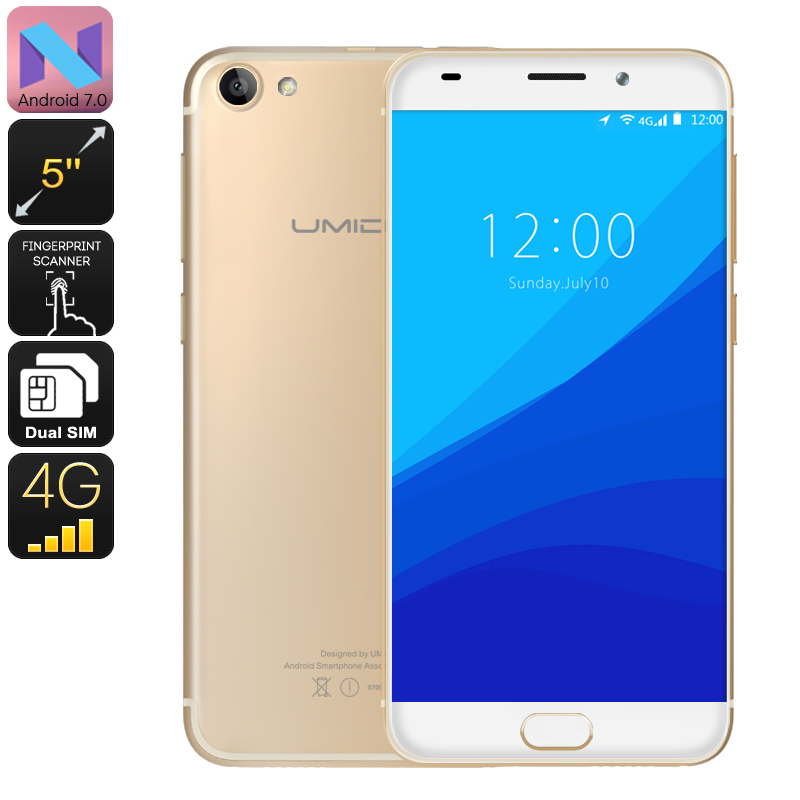 The UMIDIGI G Android phone comes with 12 months warranty, brought to you by the leader in electronic devices as well as wholesale cheap phones and smartphones..